It appears the migrating birds flew into the gas flare at Canaport LNG between Friday night and Saturday morning, said Fraser Forsythe, the company&apos;s health and safety manager. "They would circle in around that and of course with a large flame like that and high temperatures, they wouldn&apos;t have to get terribly close to get singed or burned." The weather conditions were foggy and overcast at the time, which may have contributed to the incident, said McAlpine. Officials believe nocturnal birds are attracted to red light, he said. The flare tower is about 30 metres tall and the size of the flame varies, depending on weather conditions. An estimated 6,800 birds were killed, while several hundred more were injured and had to be put down. "There were too many birds to count," said McAlpine. He is examining several hundred of the dead birds to try to identify their species. Canaport LNG employees were devastated when they discovered the dead and injured birds piled up around the base of the plant&apos;s flame on Saturday morning, said Forsythe. "We&apos;ve got people reduced to tears here," he said. Cleanup efforts continued into Tuesday, said Forsythe. 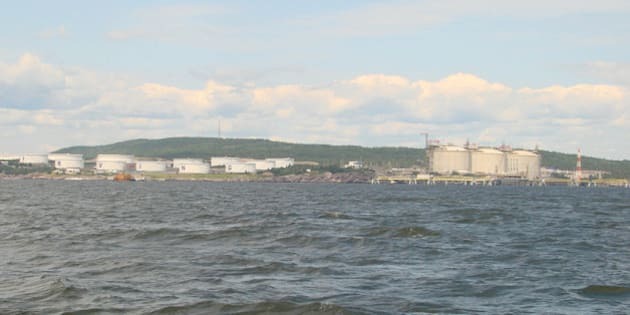 Canaport LNG is a liquefied natural gas receiving and regasification terminal, located on Red Head Road, on the city&apos;s east side. Flaring is part of the standard operation at the plant and designed as a safety release system. It is used to maintain normal operating pressure by burning off small amounts of excess natural gas. The plant, owned by Repsol and Irving Oil Ltd., lists bird monitoring as among its environmental and reporting activities on its website. Migratory birds have been considered in previous environmental impact assessments at the terminal. In March 2012, Canaport LNG announced plans for a $43-million upgrade to make the facility more efficient and cut down on flaring.